Important: Drop me a message via this post (Comment Box) and send me your link when you’ve put up this logo to your blog/website. To incorporate the logo or image into your HTML source code, simply copy the below code (link beneath the logo/image) . Then paste the code into your page to create the link button. This will pull the logo/image directly from our server. From time to time, the images will be refreshed. Using the link code provided will ensure your site automatically receives these updates. Add your link to our site using ->this page<-. You will be added instantly and we will begin sending traffic back to you immediately. An automatic detection to submit your blogs/shop to google search engine for free! If you’d mentioned LittleKittle.com/MamaFiza.com with links in your blog/blogroll/website/webstore permenantly, please drop me your url message with your blog/website url and you’re entitle to get discount for any LittleKittle.com product and services. i dah tempek ur logo… eeee very kawaii… i like!!! hi..salam kenal…always be ur silent reader hihi..i dah paste the banner in my blog. I’ve Linked littlekitten in my website. Saya dah add ur cute kitty cat.. hehehe..
Then, I’ve tried to register it. Yet, it said that the blog already listed.. eee..tapi tak jumpa pun..
BTW, where have you been dear?? saya dah link yours at my blog. Please see to confirm. If you need buttons for your crafts as one of your children’s teaching, browse thru our blog…lots of selection for kids and children…. hi I’ve link your site already..
hi I’ve linked your blog and put a logo on my blog. Thanks. Hi we have linked you. Link us back? Well done!! Very inspiring site! I’ve added your link to my blog and add link to your blog as well. Kindly check it out ya dear! I’ve linked ya… A great site to explore. Branded bags at affordable price. Do drop by! THanks! Hi, I’ve linked my blog to yr site. P/s: yr code doesn’t seem to work on my blog? could u chk? tks! i already added ur banner at my blog. 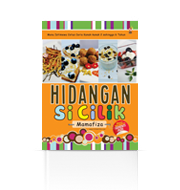 I’ve link your site in my blogshop. Hi mamafiza…I’ve link your kitty cat logo to my blog…please link me back dear! thanks a lot! Nice layout you have here. I’ve been reading your blog since 2007. Holla to you and I adore you for being a supermom. Anyway, I have put-up your link on my website. I’ve already put the Shopping Directory logo and LittleKittle logo on my blog http://soho-mama.blogspot.com (the MHU logo was already there earlier). I’ve already put the Shopping Directory logo & LittleKittle logo on my blog http://soho-mama.blogspot.com (the MHU logo was already there earlier). hi…..cikgu dah masuk link littlekitten.com dlm blog tadika cikgu….sila tengok ya! thanks…. Mamafiza, was wondering since I’m yet a biz mama & currently just blogging for sharing..am I still entitle to be listed in the directory? I’ve created “Parenting Blog” today and you may submit your link there. Thx! lubey dh link Fiza kat my blog. Hi, since my blog being listed already in the Others category & I’ve tried a while ago add link in parenting blog & reappear response my blog already listed, can my blog being removed to the parenting blog category instead? Thanks a heap & sorry for the trouble of my blurriness..he,he..
May I know the details in FREE GIFT #1? I dah link littlekitten kat blog. Hope that your day will be fantastic. I have linked you to my website. Do link back ya..
hi, i hv link u.. here is my page..
You can see that I’ve attached your banner then! I da send my link. Tapikan kalo i letak your link in my “links” page boleh ker? sbb i all my exchange link tak duk kat frontpage, i compile in one page like this http://www.moleygarden.com/store/index.php?_a=viewDoc&docId=10 How? Valid ke submission i nih? If not let me know ok! thanks for the invitation.. i dah linked urs.. adore u so much..
Gud job & keep blogging! will support u all da way ..
i alreadu added ur banner in my “Exchange Banner” sidebar of my blog . do visit me ok . thanx a lot . i had added your banner in my blog..
Hello There, i have linked your website in my e-boutique. Please feel free to check it out. i dah add ur banner permenantly yer..
http://handmadehappines.blogspot.com/ and of course it is permenant. We’ve just linked you! Do check us out! Providing you the convenience of shopping with just 1 click away at the confort of your home sofa. Better still, save your feet from the torture and you won’t have to expose your kids to all those toys shops out there. haha, just kidding. Enjoy shopping and learning online. I want to know what is the meaning of PR? We have linked you, pls link us back. hi..i’ve add ur banner permanently…kindly link me back yer!! hey! added your banner already! do link us back ya! I’ve already linked you. Please link us back ya. thanks for d invitation…i have link u, hope u can link me too ya. Hi..just add littlekittle at bayicomel.com website.. hope to join this community!! hi. we have linked u edi..
Nice job creating this site. Btw, I’ve linked to your site. Hi dear, I have linked you. Please link me back. Thank you~! i enjoy browsing through your site and i find that it is very informative and interesting. congratulations to you, sis! keep it up. i’ve linked you to my humble blog-shop, link me back ya!-TQ. hi hi…i have linked you…at http://littlegreenbuddies.blogspot.com/. appreciate if you can link me back and let me know once its done ok?have a good day! Im enjoying reading your blog. 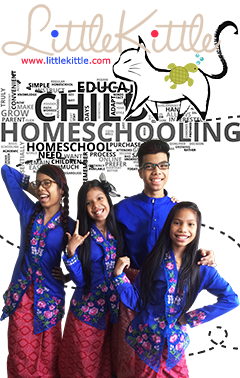 sebelum ni memang tak de idea yg di malaysia dah ada home schooling.. selalu dgr kat luar negara je. very effective product! !belum cuba belum tahu! salam mamafiza, i’ve linked u to my blog. pls add mine ya 😉 thanks! 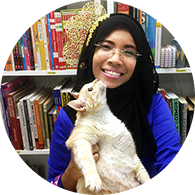 Salam mamafiza, i dah added your cute kitty banner kat my blog, do add mine ya..
Nice blog through this i have some idea to educate my toddler. Thank God I’ve linked to your site! I’ve linked to your site already. My website is http://www.kerjaya.premium.ws. Pls link mine. 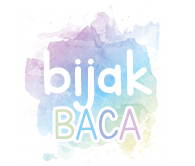 hye, add ur banner at our blog already..
Salam. Tahniah. Semoga program ini terus berjaya, insya Allah. I love so much your way to promote homebisness mommy. I already link your website to my both blog. Thank you so much for give me this opportunity. Good Luck & All Success For You !!! Hi mamafiza yang sungguh gigih.. I dah add ur bannder and link in my blog shop. Hope can be featured in Little Kittle..my url http://brandedbabyclothes.blogshop.com. I already complete the form. Hi babe, love the layout of the site. We’ve succesfully linked your site in our blog. hai mamafiza..i already link your web to my blog..
hi there,i’ve linked you. website at http://luvmydresses.blogspot.com. nice site, i’ve added u’r site on my blog. Salam n Hi..i’ve added ur banner..
i’ve add ur banner at my blog. i have added your link to my site and i hope insyaAllah it will be permanent. knitting, crochet, cross stitch and so much more with the girls and LEGO robotics with my son. This is Keeran and I’m a stay home mum with a 2yrs old boy. I am into chocolate making as chocolate is my passion. I have linked u and would appreciate if you can link me too 🙂 Thanks & have a good day! 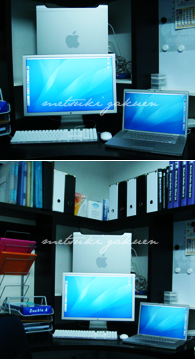 great & very impressive job..
anyway feel free to visit my page..kengkawan yg lain pun jemputlah singgah..WELCOME ALL !! salam perkenalan from me..
Hai Mama Fiza I’ve already linked ur blog permanently. Visit me at http://pretty-tasty.blogspot.com. Dah link blog ni kt blog saya. Dah copy ur link kat blog saye..
i did add ur link at my blog permanently.. I had add your site link permanently in my blog. pls link me to..already add ur banner for permanently..God Bless..
Just add my other product from Japan! Thinking all your banner will permanently in my BlogSales..
Hi, I am precious bambino here…I’ve placed your link in my blog. Please link mine, ok? Thanks a lot! please link me back ok….i have link you…. You will be added instantly and we will begin sending traffic back to you immediately. i just discovered ur site & immediately impressed with what r u doing.. Already added in your link. Please add mine as well. Hi, please be informed that we already permanently put ur code in our blog. And Hi to all, Semua barang yang tersenarai di sini ialah yang terkini terus dari Jepun. Sestengahnya sudah pun berada di Malaysia! Pembelian COD boleh dilakukan di Kuala Lumpur sahaja dengan deposit didahulukan. Selamat membeli belah! linking u already, can link me back? Thx! dah copy link tapi macam tak jadi je.tak tahu kenapa.dah try banyak kali. boleh cuba tengok dan komen. nak beritau yg saya dah lama ikut perkembangan laman ni (tapi tak pernah beri komen) dan saya baru bukak blog.pun masih banyak perlu ditambah. thanks.dah dapat add link little kitten kat blog saya.thanks. I’ve linked littlekittle to my blog permanently:) as well as in blogroll:)kindly please link my blog back! I’ve already link your site in my blog. juz copy & paste ur link in my web..
very proud if u can link me too.. Already link u in my other site! We have added your link here. And submitted the add link form to you. Please add our url into your directory. Thanks. I have added the url but make a mistake. Pls change catogories to apparel. thank you. I already added the url. But when I view I can’t see it. Maybe you need to do something at your side? Please add my banner/link with your site. See you on 27th Feb 2010 at WAHM workshop. Can’t wait to meet you. By far the most concise and up to date information I found on this topic. Sure glad that I navigated to your page by accident. I’ll be subscribing to your feed so that I can get the latest updates. Appreciate all the information here. we’re a new botique tudung online. Pls. link us here as we’re already linked you permanently. i already add ur banner in my blog.. add me yea.. I have link ur code to my website. May I know what do I need to do in order to advertise in ur website? Your effort towards motherhood is really inspiring..After viewing your site, i hope i can continue to bf my little boy up to 2 yrs old..
hi, i dah add ur banner at my blog. I have add ur banner at my website. hi…i da link u permanently…please add me…. I’ve added your banner. Please add mine as well. I’ve add your link in my web. Please link me back. saya dah letak link awak kat blog saya. i’ve linked ur banner to my blog.. Please link me back. i dah paste ur banner in my blog..
..i da link ur logo kt i puny blog juga..
already paste your banner and link to you in my blog. Hopefully u can copy my banner and link to us. I’ve add ur banner in my blog. Link mine 2 kay!!!.. hi..mama fiza.. bestnye baca blog nie.. mmg new information tuh me.. i dah add ur link to my blog. do the same ya..many thanks. peya dah put ur banner in my website. i’ve linked your your banner to our site.pls link us back. I’ve been ur silent fans for a while,and now I’ve started my own blog.I’ve linked your banner pls link me back ok.thnx. Plz link our blog for baby clothes.thanx.will link you back now. im already add ur banner, could u pls add my link on ur blog. TQVM !!! Have already added your code onto my site.. however for some reason your picture is not showing up..
i’ve linked your logo.pls link us back.thanx! how can i check your website has add me? We would love to announce that Fashion Flights is a young new company selling authentic designer items for less! Products are exactly the same, just that it is much cheaper then retail! Could you please link us as well as telling us regarding your advertisement rates? Thank you in advance. Also, do give us some feedbacks and advices as well as we are very new in Malaysia business. Ps: we are unable to link you as there is an error. why is it so? I’ve added your link into my website. Please link me back..TQ sooooo muCH! i add ur logo in my web already.. tq for all the info in ur web.. like it..
Hi, i’m new. I dah add ur logo on my blog. i’ve linked your page and pasted your badge at my page. care to follow&link my back, here? thankss!! 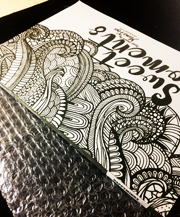 dear, pls link my blogshop, i already link u ya!!! Come visit my site.. a place for all the jewellery lovers 🙂 916 items only.. no sadur! I linked your banner. Please link me back. Hi, i’ve linked your site at my blog. Please link me back. there is something wrong with you banner link. D: it wont show on my website. Hi MamaFiza,we have put your banner. Saya dah add banner you. Please link back to us ok ..
Kindly please drop us an email to info@littlekids.com.my so that we can email you our website banner (125 x 125) and the website link. I have also put your link in the blogroll of both the blogs. I’ve put in your code..
Hi there…tried to link and paste the HTML code on my website but unable to do so..kindly advice…thank you!